Independence Day, the day when the entire nation forgets about all its troubles and celebrates the occasion with pomp and enthusiasm, is celebrated on the 15th of August. The country is abuzz with celebration on this day and so was the case with the students of NPS Indiranagar, on two successive days. The initial gala commenced on Monday 15 August 2016, where students and teachers attended the function within the school premises. The program was initiated with a speech followed by a salute and the national anthem which was sung with a lot of patriotism and avidity. In the midst of all this the National Flag was hoisted which was followed by yet another speech. 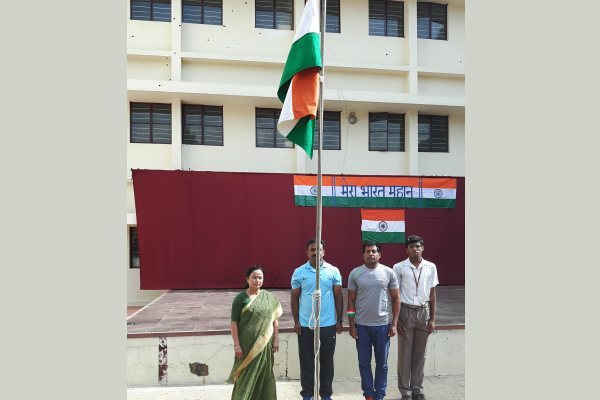 The pledge which has become an integral part of the school schedule everyday was recited by all. The excitement however did not subdue and the following day, the entire school thronged in with extremely high expectations. Little did they know their expectations would be more than met. a beautiful poem turned song, 'Where The Mind Is Without Fear' by Rabindranath Tagore, inaugurated this occasion. he senior choir left the gathering mesmerized with their beautiful harmony. They showed everyone that, where there is a will, there is a way with their transformation of a beautiful poem into an even more magical masterpiece. The junior choir displayed their precocious talent to the crowd in the form of a medley of songs. They showed everyone present that age is no barrier for success. Then came the centerpiece of the performance as the students of Class 9. They stole the show with their skit on present-day India. This hilarious, over the top, comedy filled entertainer displayed the problems faced by present day India in a satire nothing short of genius. The students made sure they got the message through, with the power of laughter and tried persuading the audience to prevent a big problem becoming a catastrophe. To add a finishing touch to what was already a memorable performance, an instrumental of our National Song, ‘Vande Mataram’ was performed. But all good things must come to an end. The entire two day extravaganza was finally rounded off with the pledge once again being recited by the school prefect. All in all the two day show showed one and all the immense patriotic levels of everyone in the school. It was a fitting way to celebrate the culture and people of our nation, in all its glorious entirety.